Getting on Google My Business and maintaining your listing can get hairy. There are dozens of common challenges business owners face, such as problems accessing your account, verifying your business, and dealing with duplicate listings. 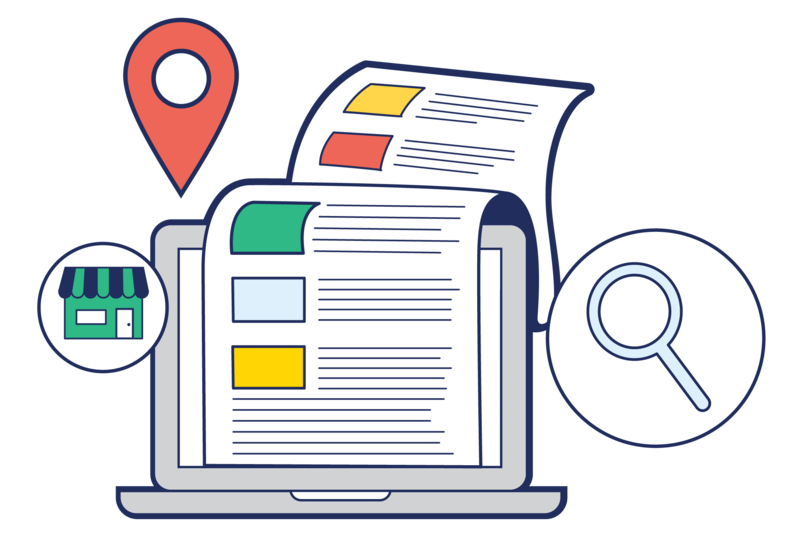 This post covers the different ways you can reach Google My Business as well as communicate directly with experts and fellow GMB members. How Do I Get Google My Business Help? Before contacting Google My Business, see if you can find the answers to your problem via the Google Support Center. 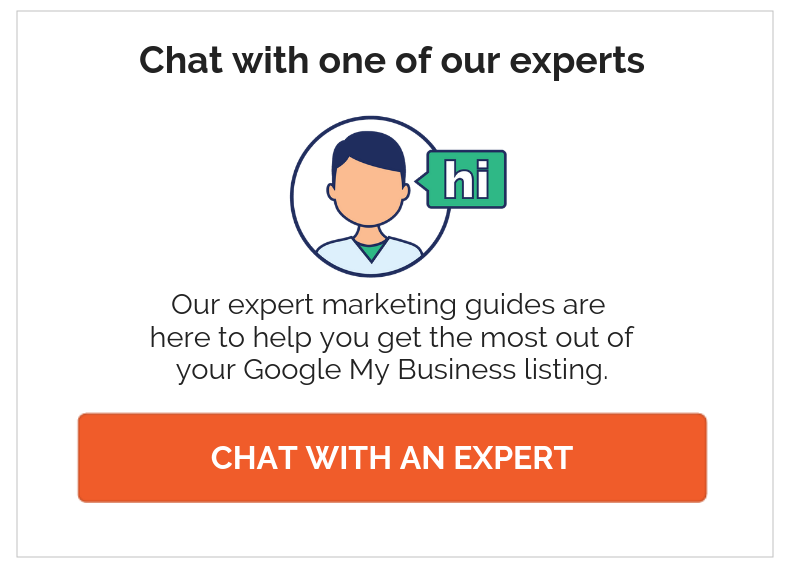 You might also want to browse our Google My Business Knowledge Center which has how-to articles and even the opportunity to chat live with an expert (more on these later). In addition to the above two methods, there are four ways you can contact Google for your business. Trying to find the Google My Business contact number is a lot harder than it should be. So, to make your life easier, we’ve provided the number below, along with some helpful tips. Expect to wait! As an international company with tens of millions of Google business listings, it’s unrealistic to think you’re the only one calling in. Put your phone on speaker (or use headphones) so you can stay productive while waiting. Take this time to learn about getting listed in other directories, compile high-quality photos you want to upload to your listing, brainstorm effective GMB posts, and come up with a list of valued customers that you can ask to leave a review. Make sure you’re logged into the account you need help with. More often than not, people are logged into their personal account rather than their business account, which can cause some last minute scrambling when you finally get someone on the phone. If you find the wait times unbearably long when trying to call Google My Business directly, another viable option that most are surprised to learn is contacting Google My Business through Twitter. To contact GMB on Twitter, simply send them a Tweet at @GoogleMyBiz. Because this secret has been out for a little while now, a lot more businesses are aware of it and taking full advantage. As a result, you can expect to wait around 30 minutes on average for a personalized response from one of Google’s team members. That’s right, no generic, automated responses here! You’ll get your very own Google employee to help you resolve whatever issue you’re facing via direct messaging on Twitter. Google has also made it fairly easy to get in touch with the GMB team via Facebook. Simply click the link below to be redirected to the Google My Business Facebook page and send them a direct message. To get in touch with Google My Business on Facebook, click here. Similar to Twitter, you can expect a short wait before someone responds. Regardless of the issue, you’ll receive personalized help to get it resolved as quickly as possible. When faced with a problem that doesn’t require immediate attention, you always have the option of filling out an email support form. Though it can take up to 24 hours for Google to get back to you, they’ll typically provide multiple solutions in a single email so you don’t have to keep going back and forth. To get in touch with GMB via email, click here. Select the option that best describes your problem and follow the support form instructions. Where Else Can I Get Google My Business Support? Now that we’ve covered the 4 primary ways of getting in touch with Google My Business, in this section, we’re going to cover a few additional resources you can take advantage of. You can reach out to Google directly through the Google My Business Support Center, but this place also has a vast library of how-tos and FAQs. If you don’t feel like waiting for a team member to get back to you, this is a great place to find solutions to some of the most common problems GMB members face. The Google My Business Community Forum is a gathering place where product experts and Google My Business members just like yourself can communicate directly. Here you’ll find thousands of posts, updates, and detailed guides so you can resolve a myriad of problems on your own. Looking for a quick and easy way to improve your Google My Business profile? Our free Google Grader assesses your listing in 30 seconds and helps you identify what you’re missing. This is a great option if you’re struggling to maintain visibility in local searches but aren’t sure where to start. Want to skip the waits and conveniently chat with an expert? Try one of our marketing specialists. Click here to open up a live chat with someone from our team.